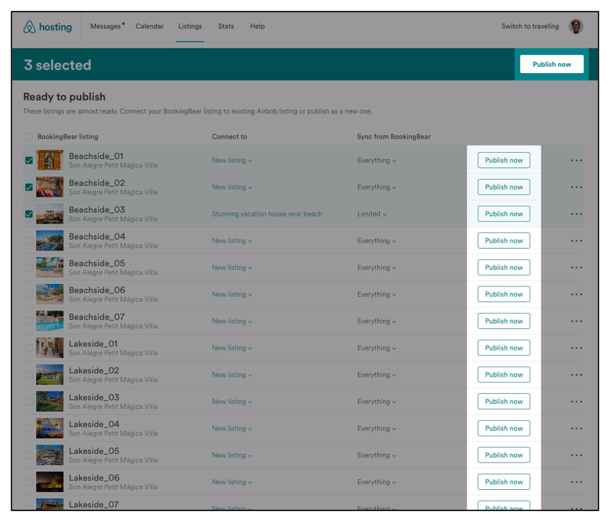 Please note that all listings you push to Airbnb via Hostfully will be automatically set to ‘Instant Book’ enabled. 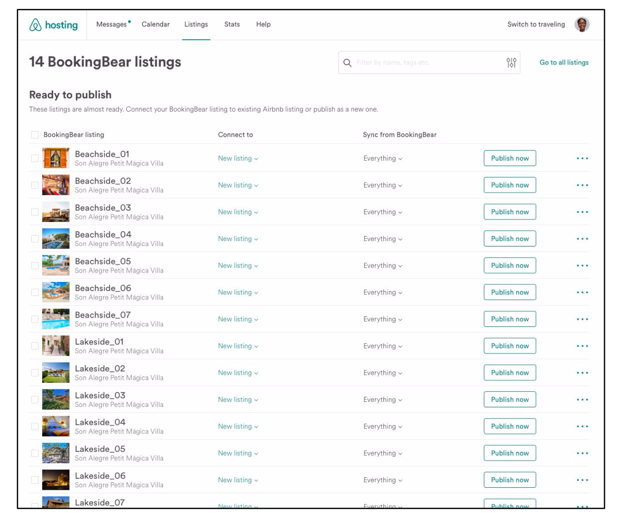 This means a guest reservation will be automatically confirmed by Airbnb if the calendar availability on your listing matches the inquired dates. 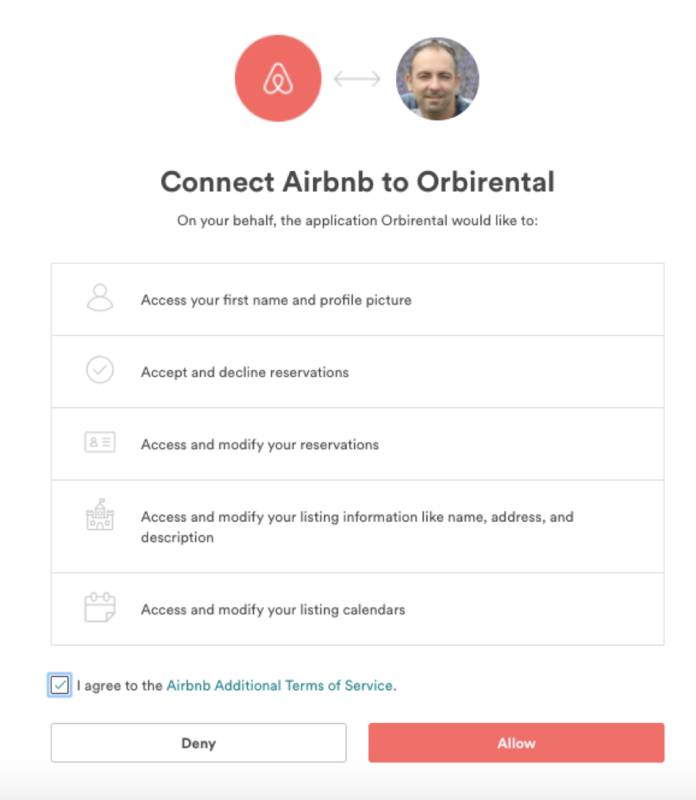 If for any reason you are uncomfortable with the reservation, you may seek your Market Manager to manually alter the reservation. 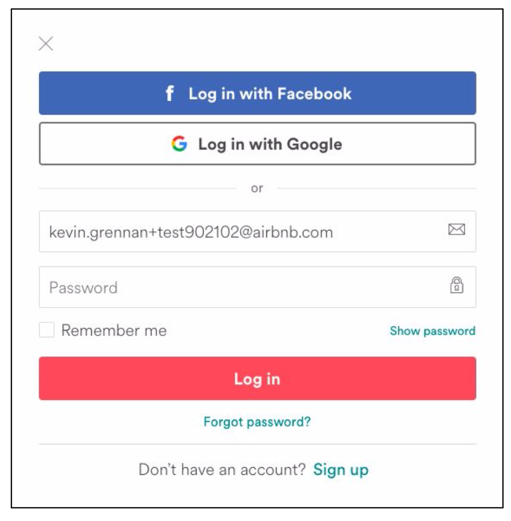 Will will then be redirected to the Airbnb Management page on Hostfully. 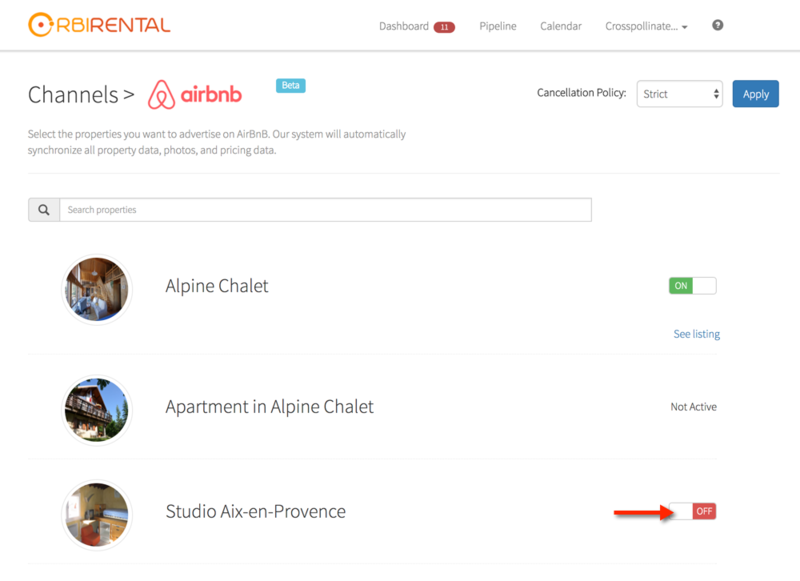 Hostfully allows you to choose which properties you want to synchronise to Airbnb. 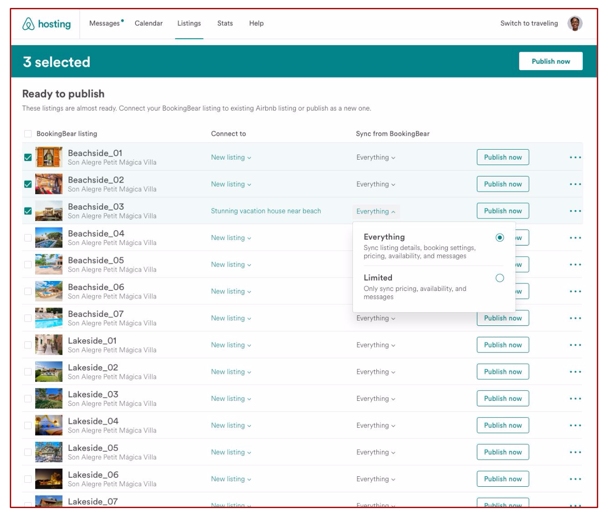 Just toggle ON the ones you want to have published and/or synchronised. 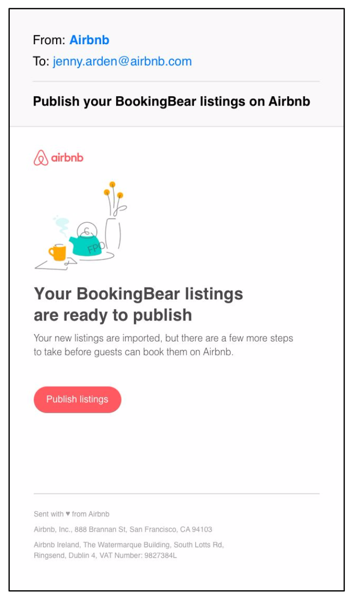 Note above that once a property has been synchronised, the toggle button will show as "ON" and you will be able to click on the link "See Listing" to view the listing on Airbnb. 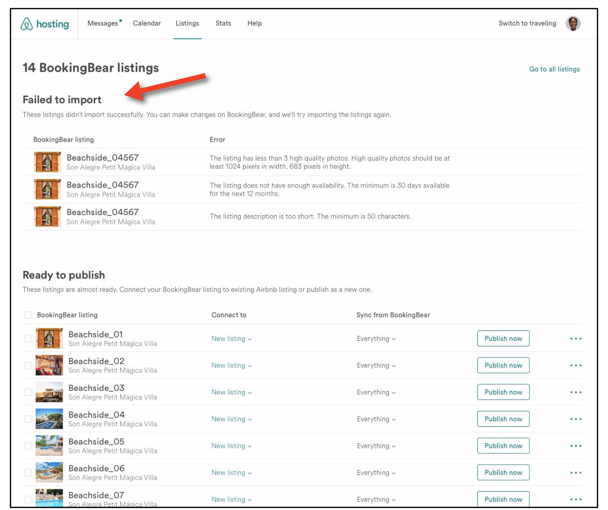 For listings that already exist on Airbnb, you can map imported listing data to an existing listing. 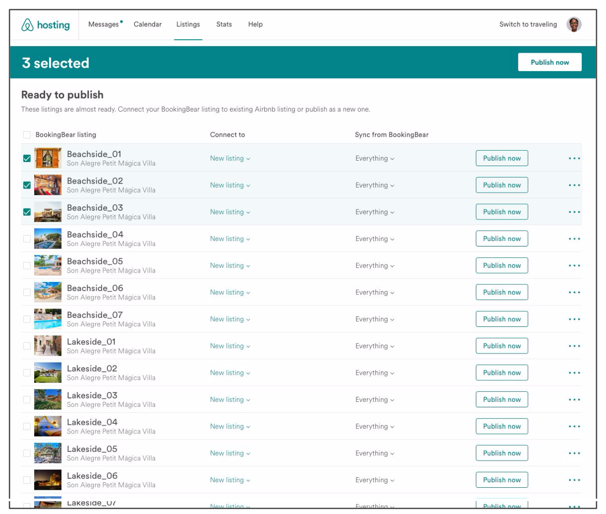 How often do I have to publish a listing?a. 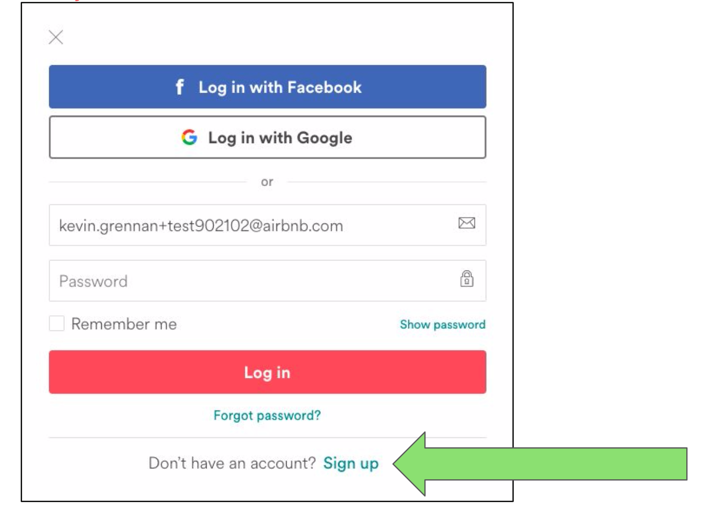 Unless you change your settings down the line, you only need to go through this process when adding listings on Airbnb. Who can I contact if I have problems with the sync?a. 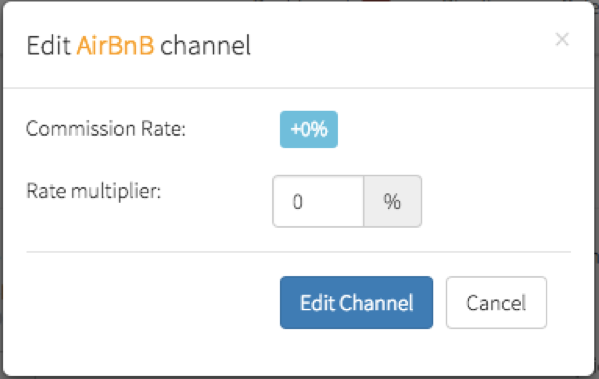 Contact the Hostfully support channel or your Airbnb Market Manager. After hitting “publish” how long do I have to wait before a listing goes live?a. Listings should go live within an hour or two.